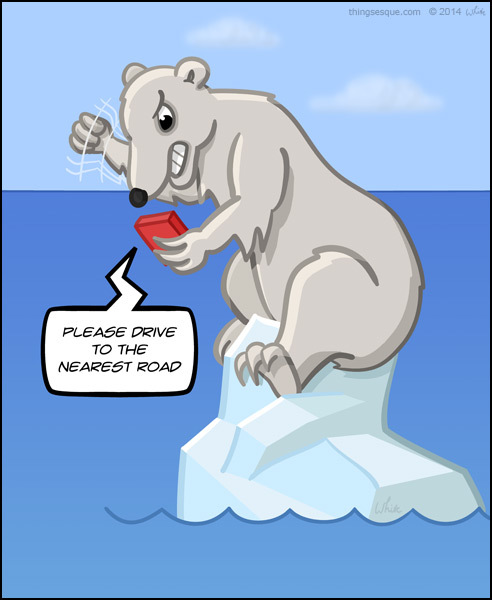 Sitting atop a small iceberg, an angry polar bear shakes its paw / fist at a GPS after being told to drive to the nearest road. 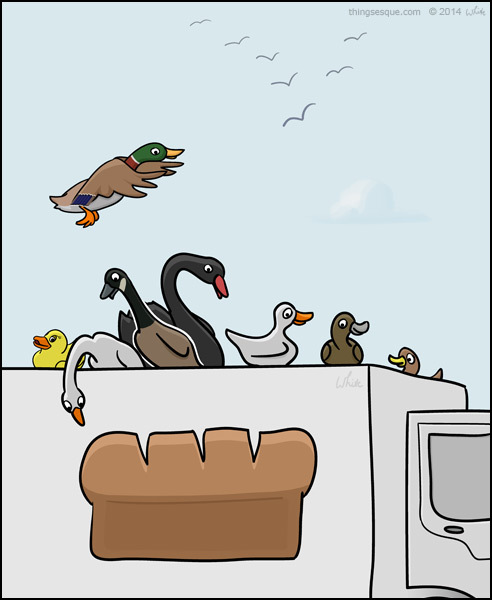 A bread truck is accosted by an increasing number of hungry ducks, geese and swans as it travels to its destination. Geese, swans and ducks on trucks. 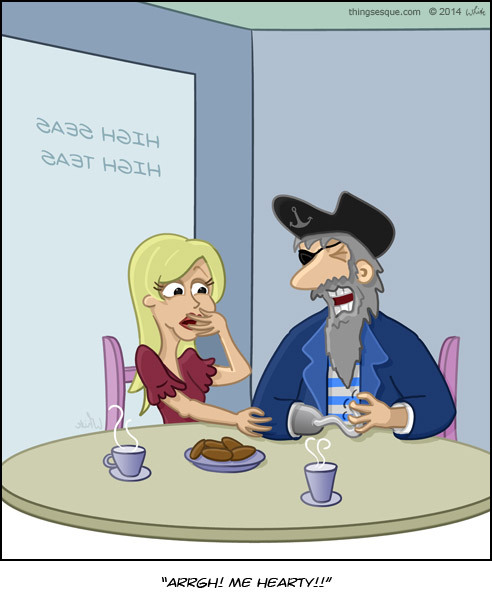 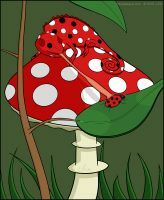 An afternoon High Tea outing results in severe indigestion for a pirate dressed in blue, complete with pirate hat, eye-patch and metal hook for a hand and pirate chest pain. Unsuspecting salmon are caught by fishing bears as they swim upstream to spawn (the salmon, not the bears). 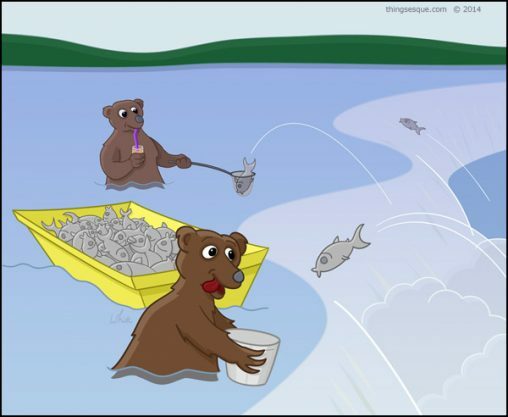 These industrious bears have a net and bucket for catching the jumping salmon and a skip bin to store their bounty.